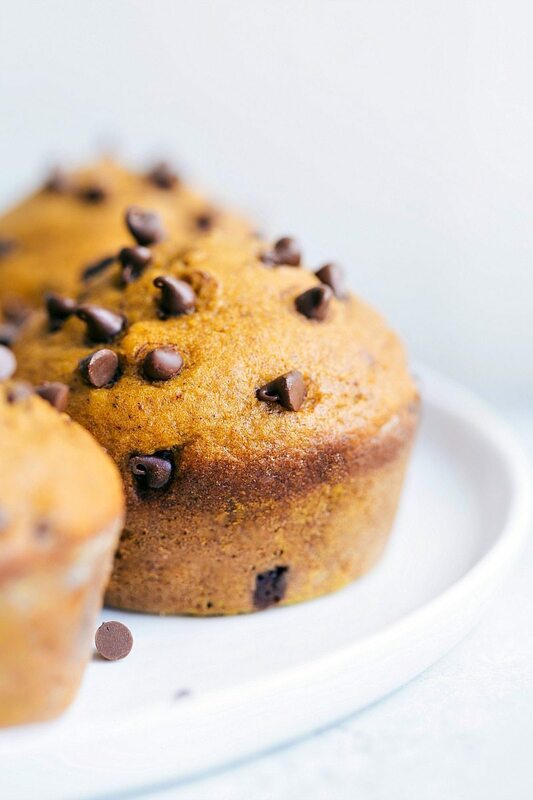 Sky-high bakery-style pumpkin chocolate chip muffins that are flavorful, moist, and so delicious! These pumpkin chocolate chip muffins have quickly become my boys favorite Fall treat. They’re soft, moist, packed with pumpkin flavor, and filled with melting pools of chocolate! While these muffins aren’t the healthiest pumpkin muffin recipe out there, they do replace a lot of fat/oil in a typical muffin recipe thanks to the pumpkin. The spices also add a ton of flavor in these muffins without adding on extra calories. 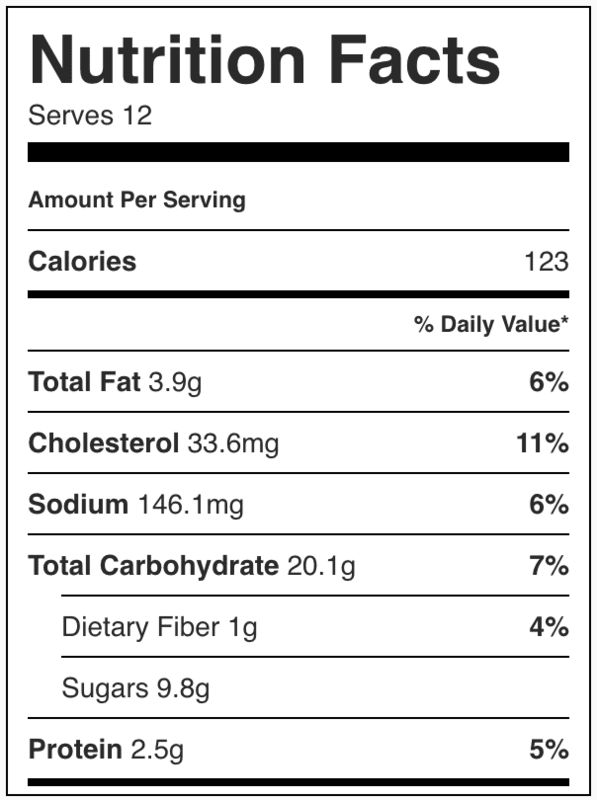 And instead of using buttermilk (a typical ingredient in “bakery-style” muffins) we’re using low-fat (1%) milk. To make a couple other healthy swaps: you can change out the milk chocolate for dark chocolate (a healthier chocolate packed with antioxidants and healthy fats) OR for chopped nuts. You can also swap out some applesauce for the oil. 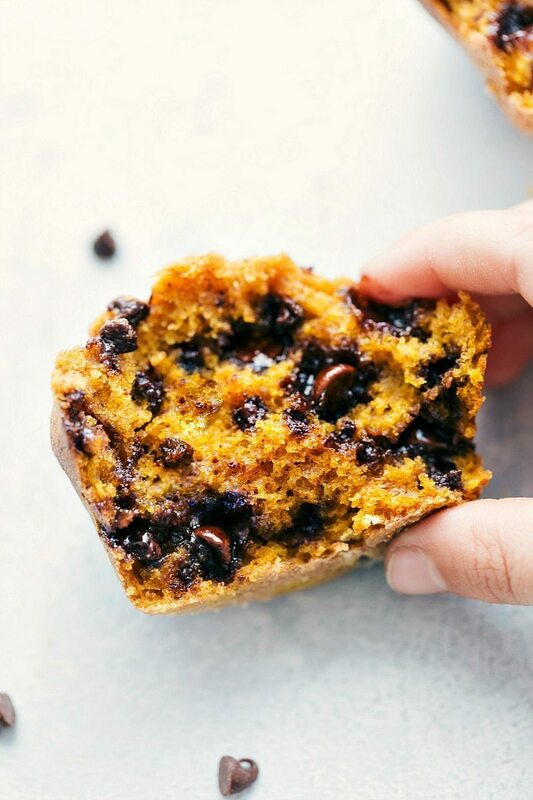 While these swaps will make them less “bakery-style” these easy pumpkin chocolate chip muffins will still be super delicious! What makes these pumpkin chocolate chip muffins the best? Two kinds of chocolate: we’re using regular AND miniature chocolate chips which ensure there is chocolate in every bite, a more complex flavor (semi-sweet chocolate and milk chocolate), and an even better texture. DIY Buttermilk: this pumpkin chocolate chip muffin recipe creates a “DIY buttermilk” by combining milk with lemon juice or vinegar. 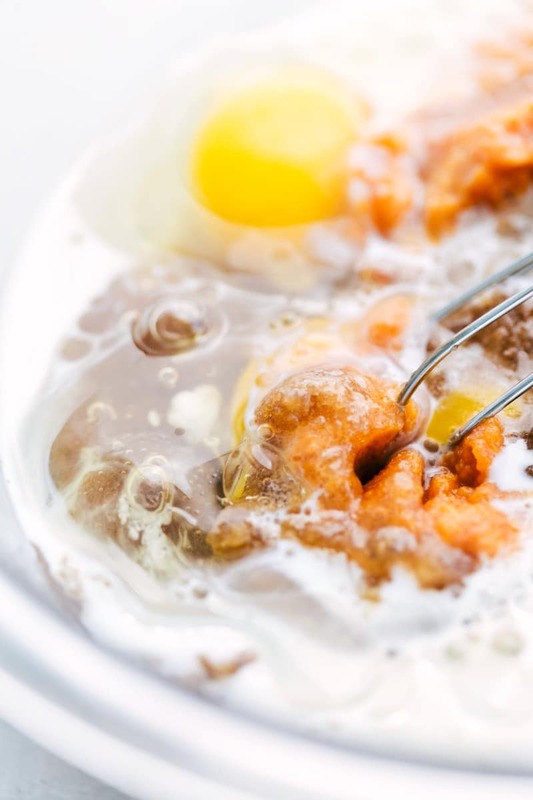 The buttermilk makes for a slightly acidic batter which helps baked goods remain moist and tender (it does this by breaking down the tough, long strands of gluten). Evenly dispersed chocolate: these pumpkin chocolate chip muffins have chocolate in every bite as already mentioned, but this is specifically done by tossing the chips with the dry ingredients. This ensures those chips don’t all sink to the bottom of the muffins! And if you’re serving these at a party, accompany them with some pumpkin chocolate chip cookies! Preheat the oven to 350 degrees F. Coat the cups of (2) 24-cup mini muffin tins with cooking spray. Prepare the pumpkin chocolate chip muffin batter according to the recipe. Fill each muffin cup with a heaping tablespoon of batter. Bake until muffins pull away from the sides of the pan and a toothpick, when inserted into the center of a muffin, comes out clean. About 12-15 minutes. Yes! They freeze beautifully Cool pumpkin chocolate chip muffins completely before wrapping and freezing. To freeze, wrap completely in plastic wrap and then place in large freezer bags. 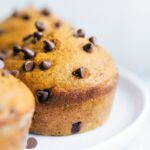 I hope you love these easy pumpkin chocolate chip muffins! Preheat the oven to 400 degrees F. Grease and lightly flour a muffin pan or use cupcake liners. Measure out the milk and whisk in the 1 teaspoon lemon juice or white vinegar. Set aside for at least 5 minutes. In a separate bowl whisk together the flour, baking powder, baking soda, spices and salt. Stir in both types of chocolate chips. 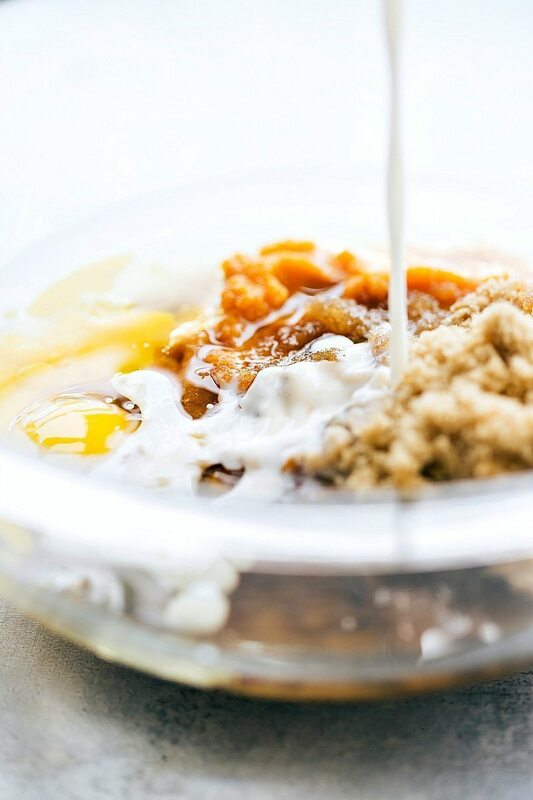 Combine wet and dry ingredients and mix until JUST combined. Over-mixing results in denser muffins. Divide the muffin batter evenly among the prepared muffin tin filling up 12 cavities. Each cavity should be 2/3 full with batter. Bake in preheated oven for 18-23 minutes or until a toothpick when inserted in the center comes out clean. Allow to slightly cool before removing them to a cooling rack. Muffins are best eaten within 3-4 days. Store muffins in an air-tight container in the fridge. hey girl- these look so tasty!